Had a great 2 night stay; rode a bike all around the island; hiked in to see the Wormhole! Played music in the pub next to the hostel and hung out with the staff from all over (France, Holland, Italy, etc) great young folks . Fantastic hostel!! You’ll meet amazing people here. I felt like I had a new family. Lovely staff, miss you guys already!! Very calm in low season and yet so much to do. Community cooking every evening and big breakfast free in the morning. Great way to start and end the day! 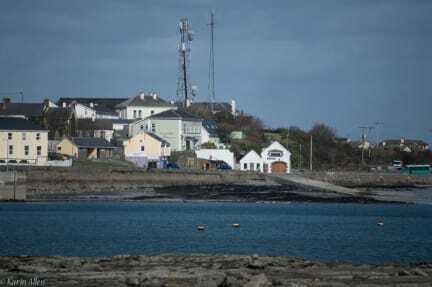 We had an incredible stay at the Kilronan on the Aran Islands. The hostel is very close to where the ferry let's you off, the tour buses for the island tours leave from directly in front of the hostel every day, staff is friendly and helpful, and check in and out is uncomplicated and fast. Full kitchen (fridges, oven, stove etc) and breakfast included! Private bathrooms for the rooms, though the rooms are quite petite. 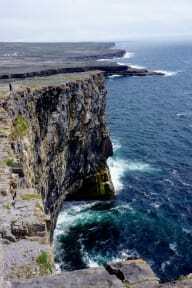 ***Highly Recommended*** Beautiful hostel on the stunning Island of Inishmore. The staff is super friendly and down to earth. Great location and the facilities have everything you'd need. Thanks for everything, Dave. It was great to meet you. The man at the front desk was so helpful and friendly. Although a hostel, this felt more like a bed and breakfast with a bunk room. Awesome stay! We loved our stay at Kilronan! The Aran Islands were magical, and this hostel right by the pier, sweater markets, pub, and bike rental made it easy for us to enjoy our weekend there. Dave was a great help, offering suggestions and answering our questions and providing great flexibility. Rooms were standard bunk beds, and the en-suite was great. Kitchen and common space were well equipped. Thanks Dave! The mattress was really hard, and the room to warm in the night, the shower was really laud but the water was warm. The room was really small , but the location was central beside the port, the tourist office and the place where you can rent a bike. Breakfast was included and enough for everyone. For extra wishes there was storage for own things to eat. The other people in the room where respectful to the others and the owner was nice as well.